Monthly: $170. River Lot monthly: $200. 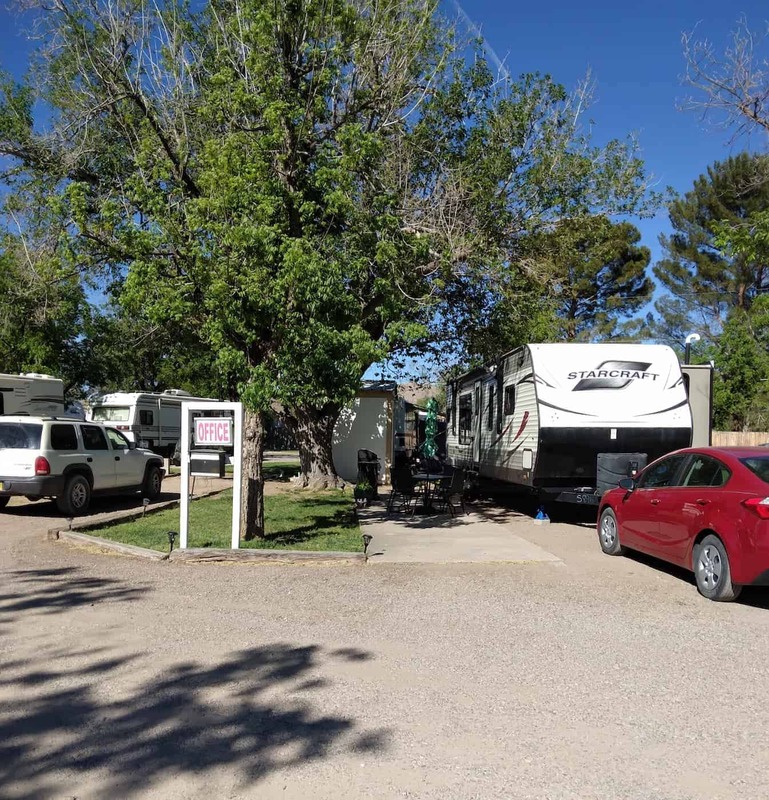 This “little Oasis on the Rio Grande” is a peaceful, quiet, adults-only park with a two-tiered fishing dock right on the river for fishing or relaxing. There’s a clubhouse and laundry on-site. Management must pre-approve any pets; small animals are preferred since we do not provide outdoor kennels. Electric is available but must be prearranged with the city, which usually only takes 2-3 hours. Some (not all) sites can accommodate big rigs. Directions: From I-25 take exit 75 (Willamsburg) go down to the Conoco Station, make right, go 1 block then right and its straight ahead.